Golf National Club is the Home of the French Open, and a candidate for the Ryder Cup 2009. Recently voted as the fourth best course in Europe, the Albatross is unanimously acclaimed as one of the very best tests of golf by the European Tour. Built in 1990, on the flat farming land, the architect has designed a stadium links course that golfers of all abilities. From Pont de St Cloud (Peripherique) A13, direction Normandy. Take A12, direction of Trappes, St Quetin en Yveslines and stay in the left-hand lane. Take first exit, direction Guyancourt, voisins, Montigny le Brettonneux. Follow the signs. Information herein provided by the club 30 March 2000. 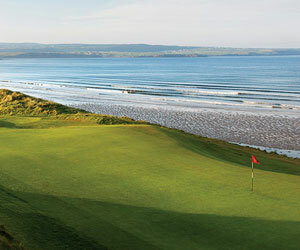 A stadium links course featuring several water hazards ,make the Albatross a stern test from the back tees. From the forward tess, the player must position the tee shot on the correct side of the fairway in order to leave themselves the best approach. A good example of this is the 15th hole, where a tee shot aimed away from the water on the right hand side can result in a four club difference for the second shot, which incidentally is to an island green! Although not unduly long, the Aigle course presents its own problems due to the terrain. Although accuracy from the tee is not essential, a premium is placed on good, accurate iron play to small, well defended greens. 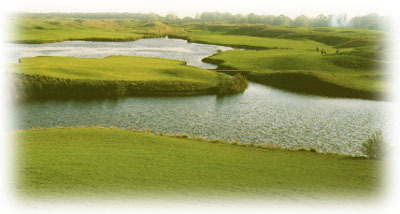 I Have just played these two courses and found that both course were excelent but not the best I have played in France. The aigyle is obviously designed to be links like and set up for visitors. Very little rough. The main course the Albatros was a links like course with a few American type holes with sleeperd walled greens surounded by water. The greens are enormous and two sometimes three clubs diffence from front to back. The course obviously designed for Televised golf tournaments.